This 12x12 double sided paper has a Black Background with watermarked images on the frontside. The reverse side has Colorful Halloween Florals. 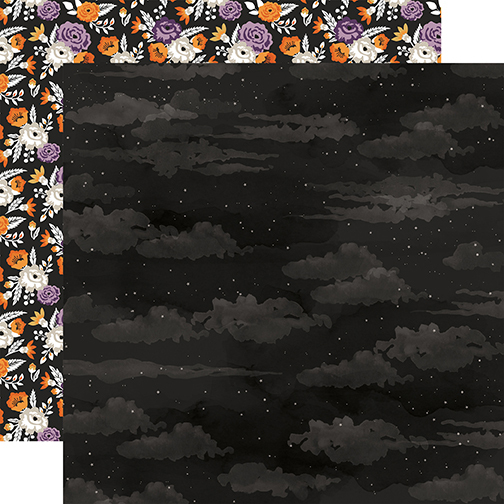 Part of the Bewitched Collection by Echo Park Paper.